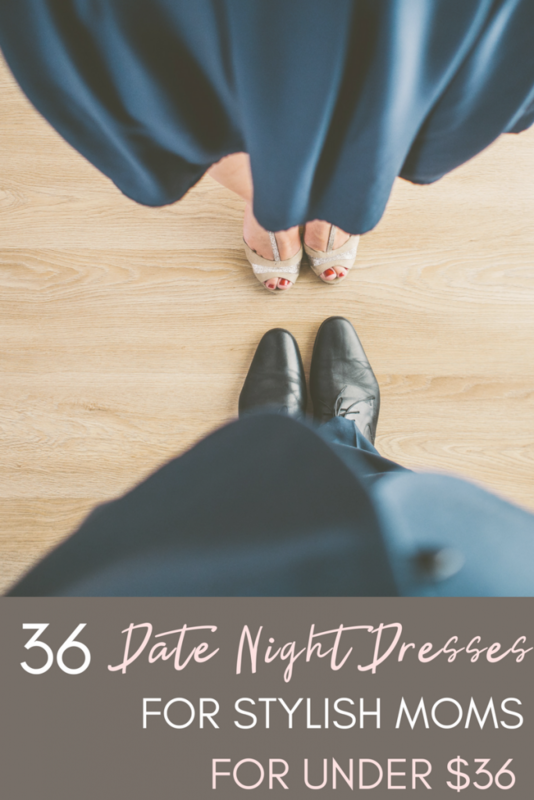 Need a few dress ideas for Valentine’s Date Night that won’t break the bank? Check out these 36 super-cute dresses that are each less than $36! Who will watch the boys? We don’t have a regular sitter the boys are comfortable with and no family nearby. How will we pay for this? We don’t have the money for a sitter and a date. Well, a sitter OR a date. What will I wear? My daily uniform consists of leggings, a hoodie, baseball hat and sneakers. Heels? I might have a pair from my teaching days, bent in half and stuck in the back of my closet. We are both tired at the end of the day. It hardly seems worth the effort. A lot of times, we do ‘date-night-in’, and we both are fine that. But sometimes, it is nice to get dolled up a bit, go out and feel like you did when you were dating. It’s a lot of work and sometimes money, but it’s worth it. So let’s talk clothes. As I said, my wardrobe is pretty simple and unglamorous most days, and if we DID go out, there would have to be a new dress to go along with it. As a SAHM and a family on one income, how does that happen? I’m not above going to thrift stores, but sometimes, on a special occasion like Valentine’s Day – you just want something pretty and NEW. Friends, there actually is a convenient, inexpensive solution for all of us who are in that boat. I’ve never been a super high-end shopper, but I had never considered Amazon an option for clothes, let alone dresses! But when I scoped it out, it was pretty amazing! First of all, the dresses were super-cute! I mean, really, really cute!! There are a ton of colors and patterns and styles and sizes. You definitely can find something that suits you! Second, the prices were amazing! Most were between $15-$30! That’s incredible for a dress! Third, it’s super-convenient! I know, I don’t like buying clothes without trying them on, either – but Amazon makes it so easy. If you’re a Prime member, shipping is free – and fast – within 2 days. Returns are free, they pick it up at your door, and then credit your account almost instantly. I know, there’s a million reasons why a Valentine’s Day date is too much work – or any date is – but every once in a while, you just have to do it. It’s so important to do, and there are lots of ways to do without breaking the bank. As moms, we spend so much of our time dirty: covered in snot, vomit, poop, pee, food. For our own well-being, we need to go out and look pretty every once in a while. Below are 36 different dresses. Click on the image to be brought to Amazon to check them out. Most of them come in a bunch of different colors and patterns, so there are a TON of different options. There are sleeveless, long sleeve, short sleeve, long dresses, knee-length, short dresses – some would even look great with a pair of legging and ankle boots, if dresses aren’t your thing. Give it a look and snag one (or a few – they are that cheap!). You’ll feel pretty and your man will appreciate it, too! 36 Super-Cute Dresses for Less Than $36! Just click on the image to check them out! 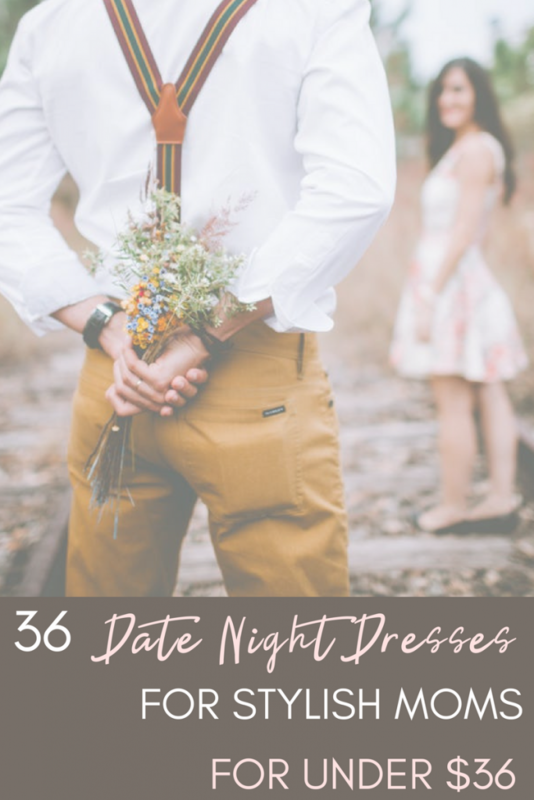 These dresses are really perfect for any date night – and at such amazing prices. Amazon! Who would have thought, right?!? Happy Valentine’s Day, girls! I hope you have a fabulous night out! You have more than earned it! Did you find a dress you love? Any big V-day plans? I’d love to hear about it!